Combining choreographic gesture with rhetoric, earthly robustness with spiritual uplift, Marc Coppey’s playing is overwhelming in its jubilant vitality. Marc Coppey is considered to be one of today’s leading cellists. He first came to the notice of Sir Yehudi Menuhin in the 1988 Leipzig Bach competition where he won the two most important prizes – first prize and special prize for the best Bach performance. He was 18 at the time. He soon after made his Moscow and Paris debuts performing the Tchaïkovsky Trio with Menuhin and Victoria Postnikova, a collaboration documented on film by the famous film director Bruno Monsaingeon. In 1989 Mstislav Rostropovitch invited Marc to the Evian Festival and from that moment on his solo career quickly developed. He performs regularly as a soloist with leading orchestras in collaboration with numerous distinguished conductors – Eliahu Inbal, Rafael Frühbeck de Burgos, Yan-Pascal Tortelier, Emmanuel Krivine, Alan Gilbert, Christian Arming, Lionel Bringuier, Alain Altinoglu, Michel Plasson, Jean-Claude Casadesus, Theodor Guschlbauer, John Nelson, Raymond Leppard, Erich Bergel, Philippe Entremont, Pascal Rophé, Philippe Bender, Paul McCreesh, Yutaka Sado, Kirill Karabits and Asher Fisch. Marc Coppey appears regularly in Europe, North and South America and Asia in some of the most prestigious concert halls – the Wigmore Hall in London, the Schauspielhaus in Berlin, the Concertgebouw in Amsterdam, the Salle Pleyel, the Théâtre de la Ville, the Théâtre des Champs-Elysées, the Théâtre du Châtelet and the Philharmonie in Paris, the Palais des Beaux-Arts in Brussels, the National Concert Hall in Dublin, the Rudolfinum in Prague, the Liszt Conservatory Hall in Budapest, the Great Hall of the Moscow Conservatory in Moscow, the Philharmonie in Saint-Petersburg, the Casals Hall in Tokyo or the Metropolitan Museum in New York. He is a regular guest of the festivals of Radio-France Montpellier, Strasbourg, Besançon, La Roque d’Anthéron, Monte-Carlo, the Nantes and Lisbon “Folle Journée”, Bach Fest in Leipzig, Stuttgart, Midem, Kuhmo, Korsholm, West Cork and Prades. A passionate chamber musician, he has extensively explored the cello’s repertoire with such renonwed artists as Maria-João Pires, Stephen Kovacevich, Nicholas Angelich, Aleksandar Madzar, Michel Beroff, Kun-Woo Paik, Finghin Collins, Michel Dalberto, Peter Laul, François-Frédéric Guy, Nelson Goerner, Augustin Dumay, Vadim Gluzman, Victoria Mullova, Liana Gourdjia, Valeriy Sokolov, Ilya Gringolts, Alina Pogostkina, Tedi Papavrami, David Grimal, Lawrence Power, Maxim Rysanov, Gérard Caussé, Janos Starker, Marie-Pierre Langlamet, Michel Portal, Romain Guyot, Emmanuel Pahud as well as the Takacs, Tokyo, Prazak, Modigliani, Ebène and Talich Quartets. 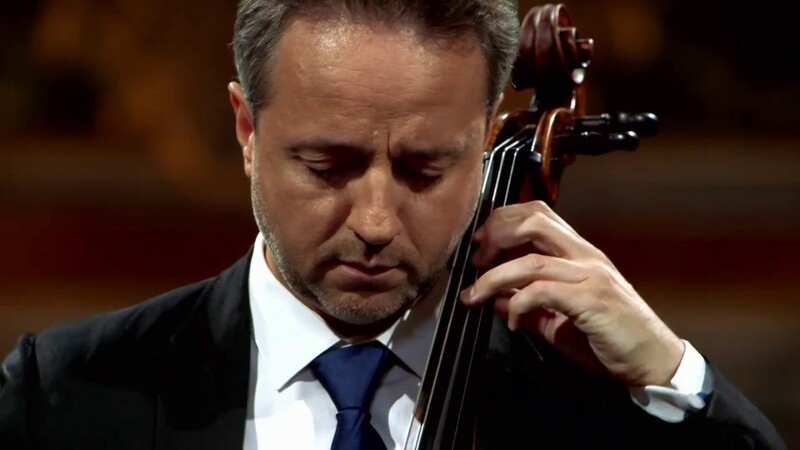 From 1995 to 2000 he was cellist of the Ysaÿe Quartet, performing in many of the world’s most prestigious concert venues. The breadth of Marc Coppey’s repertoire is proof of his profound inquisitiveness: he frequently performs the Bach suites and main stream concerto repertoire, but is also dedicated to performing less well-known works. Performing and promoting contemporary music is very important to him and many composers have dedicated works to him, including Auerbach, Bertrand, Christian, Dufourt, Durieux, Fedele, Fénelon, Hurel, Jarrell, Jolas, Krawczyk, Lenot, Leroux, Mantovani, Meïmoun, Monnet, Pauset, Poppe, Pécou, Reverdy, Staud, Tanguy, Verrières. He gave world premières of concertos by Lenot, Tanguy and Monnet, as well as giving French premieres of concertos by Carter, Mantovani and Tüür. In March 2015 he premièred ten works for solo cello by some of today’s most prominent composers as a tribute to Pierre Boulez at the Paris Philharmonie. The Arte tv channel recently filmed him live performing the complete Bach Suites in one evening in Lyon. Marc Coppey’s recordings have received critical acclaim worldwide. They include works by Beethoven, Debussy, Emmanuel, Fauré, Grieg and Strauss, for the Naïve, Decca, Harmonia Mundi and K617 labels. Among his most recent recordings are world premières of the concertante works of Théodore Dubois on the Mirare label. His release of the complete Bach Suites (awarded Télérama’s ffff) and a CD dedicated to Dohnanyi (awarded “10 de Répertoire”), were both recorded for the Aeon/Outhere label. Together with the Prazak Quartet, Marc Coppey recorded the Schubert Quintet for the Praga label. His discography also includes the great Russian cello sonatas, accompanied by pianist Peter Laul (Aeon), a performance of Martin Matalon’s concerto (Accord/ Universal), a CD of the Brahms Sonatas with pianist Peter Laul and a Schubert album. His recording of the Dutilleux Cello Concerto and the Caplet Epiphanie with the Liège Orchestra under Pascal Rophé’s direction received a BBC Music Magazine *****, a Diapason d’Or and a “Choc” in the Monde de la Musique. In 2016, his recording of the Haydn and CPE Bach cello concertos with the Zagreb Soloists was released by Audite. Forthcoming recordings include the Dvorak Concerto with Deutsches Symphonie-Orchester Berlin and a Beethoven Sonatas cycle recorded live in the Saint Petersburg Philharmonic Hall. In November 2009 Marc Coppey was chosen to perform Bach in the Place de La Concorde in Paris to celebrate the 20th anniversary of the fall of the Berlin wall. In addition to his solo concert career and his chamber music activities, Marc Coppey is also a professor at the Conservatoire National Supérieur de Musique de Paris and gives master-classes all over the world. He is artistic director of the ‘Musicales de Colmar‘ chamber music festival and since 2011 musical director of the Zagrebacki solisti (Zagreb Soloists). He performs on a rare cello by Matteo Goffriller (Venice 1711), the Van Wilgenburg and resides in Paris. He was made Officier des Arts et des Lettres by the French culture ministry in 2014. Marc Coppey was born in Strasbourg where he studied at the Conservatory before attending the Paris Conservatoire National Supérieur and the University of Indiana in Bloomington. Coppey’s rendition of the Franck, particularly the “Recitativo-Fantasia” movement, was the stuff of dreams: perfect cello playing and a sense of bardic poetry, making all the emotions real and alive. The Zagreb Soloists bring an exquisitely shaped opening to the Adagio. When the soloist enters he finds a lovely balance with the gentle orchestral line. This is a really poetic conception with a fine rubato and a lovely tone that isn’t without moments of more intense bowing. There is some beautifully controlled playing from both soloist and orchestra... Coppey may only have been directing the Zagreb Soloists for two years but it is obvious that they have already found a very close working relationship. All in all, a very recommendable recording of these works.